Gustavo Falcon's arrest Wednesday was more than a quarter-century in coming. He was indicted on drug-smuggling charges nearly 26 years ago to the day — along with his brother Augusto "Willie" Falcon, their partner Salvador "Sal" Magluta and several other accomplices. Authorities say that between the late 1970s and early '90s, their drug ring conspired to import and distribute about 75 tons of cocaine. 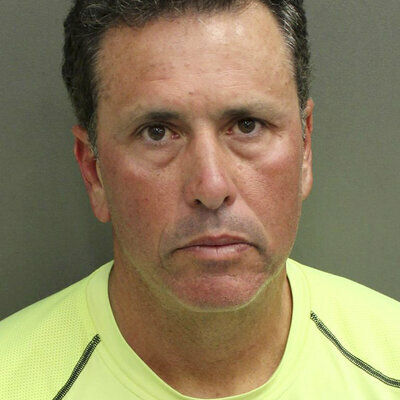 Gustavo Falcon, the last of South Florida's "Cocaine Cowboys," was arrested Wednesday, more than a quarter-century after he went on the lam. Though Willie and Sal were eventually caught and convicted, Gustavo Falcon appeared to disappear entirely from South Florida. "Nobody thought he was in the United States," U.S. Marshals Service spokesman Barry Golden said Wednesday, according to the Miami Herald; for years, law enforcement believed they had lost Falcon to Colombia or Mexico. That is, until last month, when officers discovered he'd been living in the Orlando area under an assumed identity for nearly two decades, together with his wife and two children. It would be another several weeks of watching Falcon's rental property in suburban Kissimmee before marshals felt comfortable enough to move on him — and even then, officers had to wait and watch while Falcon and his wife embarked on a 40-mile bike ride Wednesday. They finally stopped and arrested the pair at an intersection. "We caught a break," Golden told CNN. "It was a lot of hard work, and some luck, and it paid off." "Willie and Sal, known as 'The Boys' since dropping out of Miami Senior High School, were recognized as kingpins among the legendary Cocaine Cowboys who turned South Florida into a deadly hub of drug trafficking in the 1980s. The partners, who grew up in Miami's Cuban-American community, used their ocean-racing speedboats to haul Colombian cocaine from the Caribbean to the shores of South Florida." Gustavo Falcon's brother and associates were taken in long before he was — but that's not to say the going was smooth for police or prosecutors. Both Willie Falcon and Sal Magluta earned acquittals in 1996, but as it soon came to light, those acquittals were actually purchased by bribing at least one juror and threatening witnesses. The two men were eventually convicted after a retrial. And while Magluta was sentenced to roughly 200 years in prison, the Herald reports that Willie Falcon's 2003 plea deal means he's on track to be released from prison this summer. Gustavo Falcon is expected to appear at a hearing Thursday in Orlando, according to The Associated Press, before he's likely sent to Miami for further legal proceedings. In the meantime, Golden and his fellow marshals are marking the end to a chase that spanned decades. "He was the last of the Cocaine Cowboys," Golden said. Yea right, you can have cocaine in Mexico Huh?